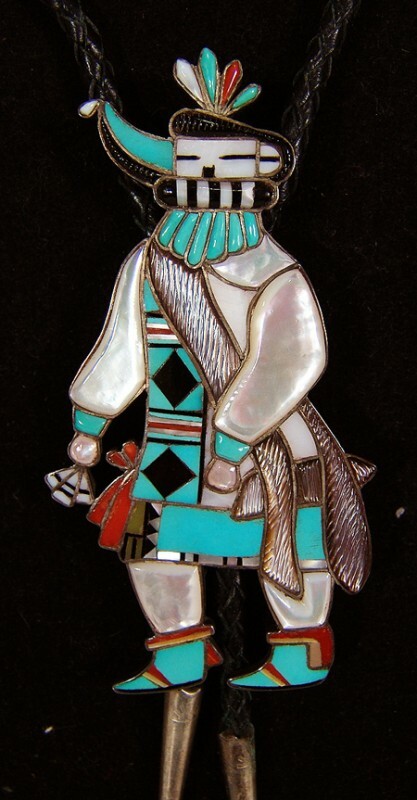 This entry was posted in Authenticity, Belt Buckle, Buckles, Hallmarks, Inlay, Pawn, Symbols & Powers, V/L and tagged belt buckle, long-horned kachina, longhorn kachina, pawn, V/L hallmark, zuni by Native American Jewelry Tips. Bookmark the permalink. 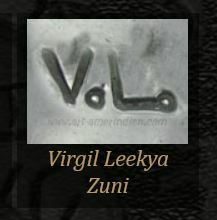 I found VL for Vernon Lunasee in a handwritten list of Zuni artists, the diagonal line may have been left out by the person who made the list. Maybe if you have a contact within the Zuni nation they could direct you? Even though the hallmark is not exactly like the ones you are showing for Vera Luna, the work is nearly identical to hers. I have seen a full-size Saiyatasha (Long Horn Kachina) made by her, and the head is the same except that it had 4 feathers on top instead of 5. 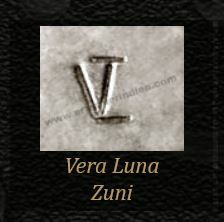 However, her mark is “V.Luna”. I’ve seen this belt buckle before but I’m not sure what website, I will check it out. On the V.L. topic … I would LOVE some assistance. 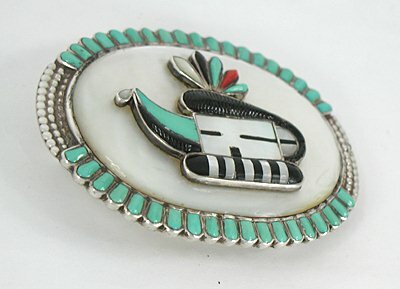 I have a very intricate Zuni (I think) concho. The hallmark is V.L. and the L is in script. I have searched and searched no luck finding any info. All assistance is much appreciated.